Early in the twentieth century, Leslie Spier and Erna Gunther, graduate students trained by anthropologist Franz Boas, hiked to the bottom of the Grand Canyon to learn about Havasupai culture. In the process, they asked two Havasupai leaders and elders for every story they could remember. These were translated by native speakers and transcribed by Spier and, later, Gunther. Yet for unknown reasons Spier never published the whole collection of forty-eight stories, one of the earliest, most complete translations of an entire Native American oral tradition. 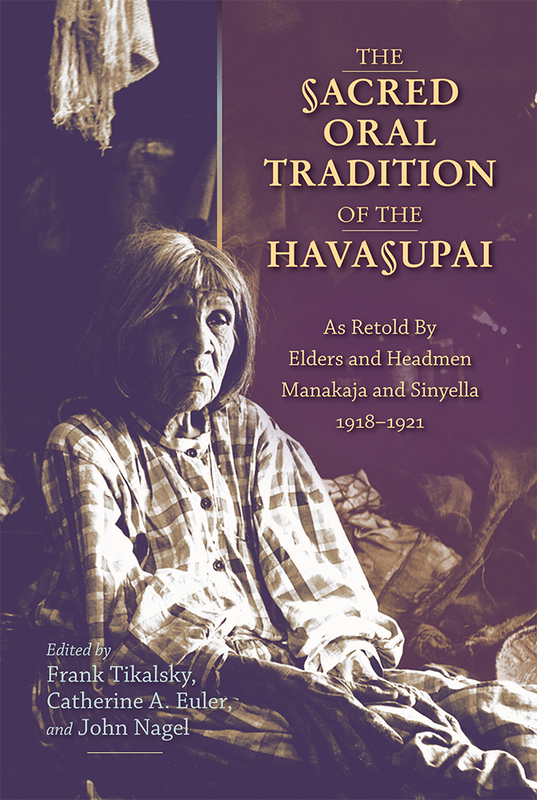 Passed from Spier to anthropologist and Havasupai scholar Dr. Robert C. Euler, the stories, published here for the first time in book form with the permission of the Havasupai Tribal Council, are a cultural library and a cultural treasure that reflect an ancient Yuman-language mythological tradition. Publication restores them to the People (Pai/Pa/Pah) from whom they arose. In addition to the forty-eight stories, the volume includes essays on the cultural prehistory of the Grand Canyon and the cultural life of the Havasupai, as well as an overview of Havasupai history, leadership, and language, and an introduction to scientific thought on sacred story and mythology. Frank D. Tikalsky, Ed.D., is a clinical psychologist. He lives in Bayfield, Colorado. Catherine A. Euler, Ph.D., is a historian currently teaching at the University of Arizona. John Nagel, M.D., is a psychiatrist in Fort Collins, Colorado.